Well, this isn’t a question you would hear raised over a barbecue or at a Sunday family roast, but if you’re interested in knowing more about the origins of your steak, read on. Next time there’s an awkward silence across the dinner table or around the grill, you’ll be armed with some interesting facts about the origins of your beef. Beef Taurus (Bos Taurus Taurus) refers to cattle of European origins. 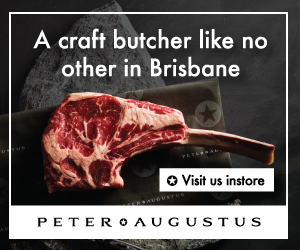 Breeds such as Angus, Hereford and Charolais are some of the better known varieties, all of which are adapted to cooler climates and in Australia, typically inhabit our southern regions. Beef Indicus (Bos Taurus Indicus) on the other hand is the collective name given to breeds that have originated from the Indian Zebu, or Brahman. They have a distinctive humped back and other physical characteristics such as larger ears and a shorter coat that make them more suited to hot and arid climates than their European neighbours. These tropically adapted animals are breeds you will find in the cattle producing regions of Queensland and the Northern Territory in particular. Our original Taurus’ (Shorthorn and Hereford) were from Britain and introduced to Australia in 1788. But in the late 1800s, not long after commercial cattle farming had begun in Australia, it became apparent that cross-breeding between the Taurus and Indicus species would be a necessity as tropical disease such as tick fever and the harsh climate took their toll. With the arrival of the first Indicus breed (Brahman) in the early 1900s, northern graziers in this previously conservative and traditional industry of cattle rearing became pioneers who, through dedication and relentless hard work, led the way in developing new cross-breeds such as the Belmont Red and Droughtmaster. So what does this mean for steak lovers? 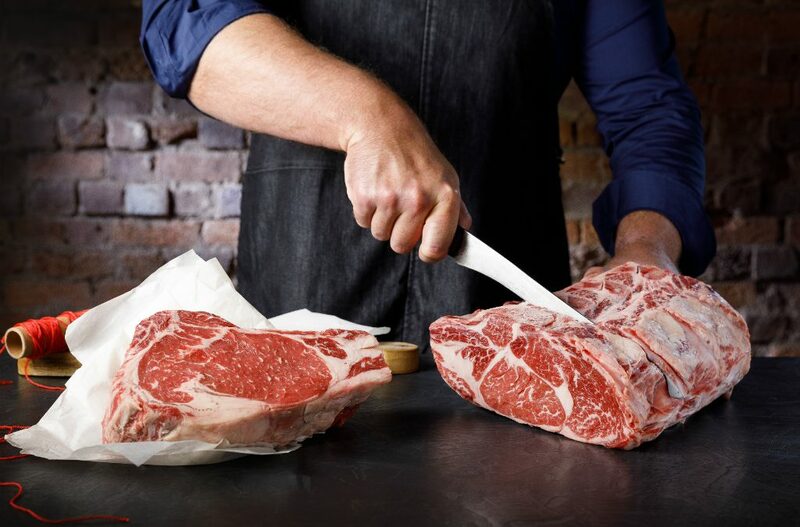 If you’re buying a prime cut of beef at your local restaurant, supermarket or butcher, it will most likely be from a southern grazing breed such as Angus or Charolais. Taurus yield a better quality meat with better flavour, marbling content and tenderness (the reasons of exactly why this is the case is the subject of numerous ongoing scientific studies), and are generally consumed by our beef loving population here in Australia or destined for the premium export markets of Korea, Japan and Russia. Indicus on the other hand, with a typically lower quality meat than Taurus, are most likely to be live exports to Asia or as packaged meat destined for the American hamburger market. It’s a given that the family trees of these Taurus and Indicus beasts will continue to grow in the future with the introduction of new cross-breeds to service an ever changing consumer market and to evolve and adapt to changes in climate and physical environment. That means, to our great fortune, as the end consumers we will reap the benefits of even healthier and better tasting beef.